This was a politician representing an extreme, sectarian trend, who did not permit his ideology to wholly subdue his humanity. Poetry and bigotry sit oddly together, as do humour and dogmatism. There are jokes about Marxists, but no Marxist jokes. There are verses poking fun at mullahs, but few mullahs read poems (and still fewer write them). Had he not served 10 terms in the Indian Parliament, had he not been elected prime minister of India no fewer than three times, Atal Bihari Vajpayee would still be remembered as the swayamsewak who wrote (moderately good) poetry, as the Hindutva-wadi who had a sparkling sense of humour. Nieces and nephews, foster-children and grandchildren, will see the loss of Vajpayee in familial terms. Those who served with or under him in Rashtriya Swayamsevak Sangh shakha or party committee or Union Cabinet will mourn the loss of a political colleague (and, in many cases, mentor). But to this historian, who never met Vajpayee, his death signifies the sundering of the last, living link to the Nehruvian era of modern Indian history. Those who speak in Jawaharlal Nehru’s name today did not known him in the flesh (and, it must be added, do not seem to know or understand his legacy, either). Vajpayee knew Nehru, crossed swords with him, and, withal, deeply and genuinely admired him. Born in Gwalior, educated in that town and in Kanpur, Vajpayee was deputed by the RSS to the Bharatiya Jana Sangh when that party was founded by Dr Syama Prasad Mookerjee in 1951. The leader took a liking to the youngster; thus, when Mookerjee chose to enter the Kashmir Valley a couple of years later, Atal Bihari was his companion on the train journey up from Delhi. Wikipedia claims that “Vajpayee was at Mookerjee’s side when he went on a fast-unto-death in Kashmir in 1953, to protest what the [Jana Sangh] claimed [was] the inferior treatment of Indian citizens visiting Kashmir”. In fact, it was not a fast-unto-death (rather an illness that resulted in death), and in any case Vajpayee was not at Mookerjee’s side, having been left behind in Pathankot when the leader chose to enter the Valley on his own. Still, the fact that he was asked to accompany Mookerjee on the first part of the journey suggests that he was already seen as the coming man in the party. In 1957 Vajpayee was elected to the Lok Sabha for the first time. Over the next decade, he acquired a reputation as the most eloquent defender – in and out of the House – of the Jana Sangh’s policy of getting tough with China, forging closer ties with the United States of America, and promoting the interests of small business (at this stage, these issues took precedence in the party programme over the baiting of Muslims). When India’s first prime minister died, his still-young opponent made a moving speech in the Rajya Sabha, comparing him to Lord Ram, claiming that, like that mythical hero, Nehru was “the orchestrator of the impossible and inconceivable”. In the opinion of this Jana Sangh leader, Nehru’s “strength of personality, that vibrance and independence of mind, that quality of being able to befriend the opponent and enemy, that gentlemanliness, that greatness – this will not perhaps be found in the future”. If this speech found Vajpayee to be more broad-minded than the party faithful, his next major act in public revealed him to be less bigoted. In November 1966, a band of sadhus chose to storm Parliament to forcibly bring about a ban on cow-slaughter. Where other RSS and Jana Sangh leaders egged them on, Vajpayee issued a public statement criticising the “undesirable elements, who resorted to violent activities in the demonstration against cow-slaughter [and] had done a great harm to a pious cause”. This incident is a mostly forgotten prelude to two better-known attempts by Vajpayee to distance himself from the hardliners in his party, namely, his admitting to a sense of shame when the Babri Masjid was demolished in December 1992, and his chastising the Gujarat chief minister for encouraging the pogrom against Muslims in that state a decade later. It is commonly believed that Vajpayee hailed Indira Gandhi as “Durga” after the Bangladesh war of 1971. The belief is erroneous – the comparison was made by a Congress MP and then embossed for the record in portraits made by MF Hussain. Still, when Nehru’s daughter was riding high in the early 1970s, Vajpayee must have thought he would spend all his days outside government. But then the Emergency was imposed, and the groundswell of anger against its excesses propelled a coalition of opposition parties to power in 1977. Vajpayee became foreign minister, in which capacity he sought to build better relations with Pakistan as well as with the United States. A lesser (but symbolically significant) achievement was to restore a portrait of Nehru which had hung in the foreign minister’s room, until a sycophantic bureaucrat took it out in anticipation of the appointment of Vajpayee, the arch anti-Congressman, to that office. 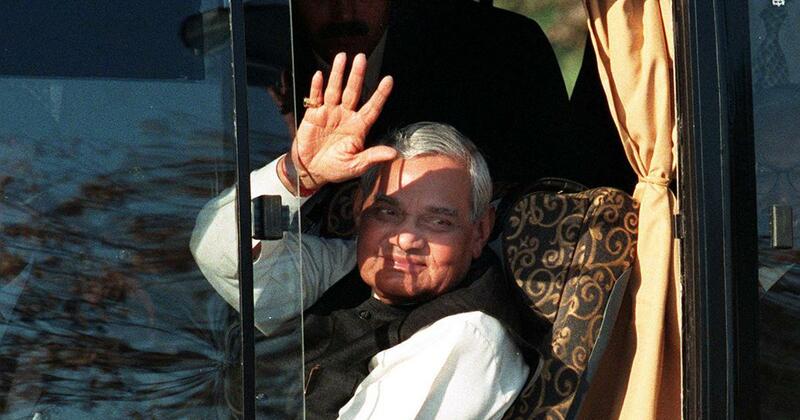 In the 1980s Vajpayee was back in opposition, again seemingly for life. The Jana Sangh had been reborn as the Bharatiya Janata Party, and after a brief flirtation with moderation sought to make the consolidation of the “Hindu vote” its objective. The chosen vehicle was a campaign to have a mosque demolished and a temple built in its place in the town of Ayodhya. The assignment did not suit someone of Mr Vajpayee’s temperament, so his grimly unpoetic colleague, Lal Krishna Advani, was asked to lead the movement instead. The BJP made major political gains – on the backs of many dead bodies – but these were nowhere near enough to gain it a majority in Parliament. They could form a government only with the support of smaller parties, who, on their part, were more amenable to serving under a poet rather than a dogmatist. In the summer of 1996, nearly four decades after he first entered Parliament, Atal Bihari Vajpayee became prime minister of India. In the event, he served three terms as prime minister – the first lasting for 13 days, the second for 13 months, the third for a full five years (albeit cut short because he called for an early election). It is intriguing, and perhaps instructive, to compare his record with that of Rajiv Gandhi and Narasimha Rao, both of whom likewise served a single full term in office. Like those men, Vajpayee took some brave, necessary, and long overdue steps to free the economy from the shackles of state control. At the same time, he also encouraged the state to more actively pull its weight in the key sector of infrastructure development. Particularly noteworthy was the emphasis paid to road-building, to speeding up goods and passenger traffic between our large cities through the “Golden Quadrilateral”, and to connecting rural hamlets through the “Pradhan Mantri Gram Sadak Yojna”. On the other side of the balance sheet, like Rajiv Gandhi, Vajpayee was accused of encouraging cronyism and corruption among his friends and foster-family. Again, like Narasimha Rao this time, he was complicit in acts that damaged the secular fabric of the Republic. If Rao had so willed it, the Babri Masjid would not have been demolished, thus also avoiding the terrible loss of life in the riots that followed. Vajpayee did scold Narendra Modi after the 2002 Gujarat riots, but he should have gone further, and replaced him. In the event, the failure to do so shamed India in the eyes of the world, since we were made to appear as the Hindu analogue of that other country which was governed in the interests of a religious majority, namely, Pakistan. However, in one respect Vajpayee’s record was immeasurably superior to that of Rao or Rajiv. This was, of course, as a speaker. The speech on Nehru that I have quoted reads well enough in English translation, but far better in the original Hindi. I myself first heard Vajpayee speak at Delhi University’s Maurice Nagar Chowk in March 1977, when, recently released from prison, he had come to campaign against the Congress in the forthcoming elections. On that occasion I was with him in spirit as well as sentiment. But even when one rejected his views one was enchanted by his words. In May 1998 I saw him on television, speaking on the decision to conduct atomic tests in the Rajasthan desert. It was a decision I opposed, but which, after hearing Vajpayee’s pointed denunciations of Western hypocrisy, I was almost prepared to defend. The second BJP prime minister has a considerable reputation as a orator too. However, while Narendra Modi’s speaking style is mocking and polemical, Vajpayee’s was reflective and ironical. He upheld his party’s policies and programmes without demeaning or disparaging his political rivals in personal terms. Nor did he elevate himself unduly; for he knew that the party, the government, and the nation were all immeasurably more important than himself. Once, when speaking to a group of non-resident Indians in New York, Vajpayee insisted that he was first and last a swayamsevak. However, the extent of his commitment to the core tenets of Hindutva was never clear. Having joined the RSS as a young boy, and having been with the Jana Sangh since its inception, he had the loyalty of a member to his club, consolidated by an affection for fellow members with whom one has lived and worked for 50 years and more. 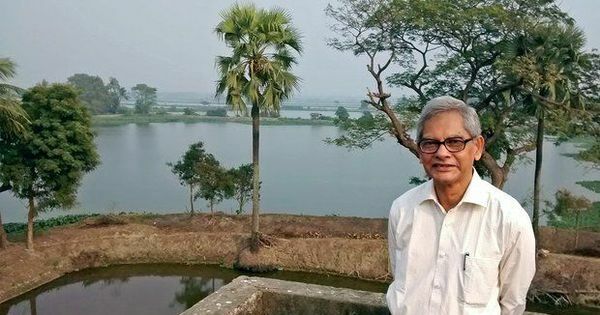 But, as his periodic shrinking from the brutal actions of his colleagues, as well as his courtesy to political opponents, showed, he was too nice, or perhaps too weak, to uphold the Hindutva creed in its entirety. One might remember Vajpayee as the prime minister who, after Jawaharlal Nehru, gave the best speeches off the cuff. Or one might remember him as a Hindutva-wadi with a poem in his heart and a joke on his lips. This was a politician representing an extreme, sectarian trend, who did not permit his ideology to wholly subdue his humanity. As a life-long opponent of Hindutva, let me say this – when confronted with the words or faces of Amit Shah and Narendra Modi, I increasingly feel nostalgic for the days when the formal, official, symbolic and public representative of this political tendency was a certain versifier and wit named Atal Bihari Vajpayee.